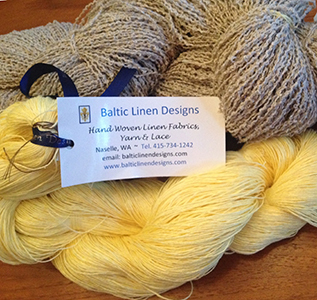 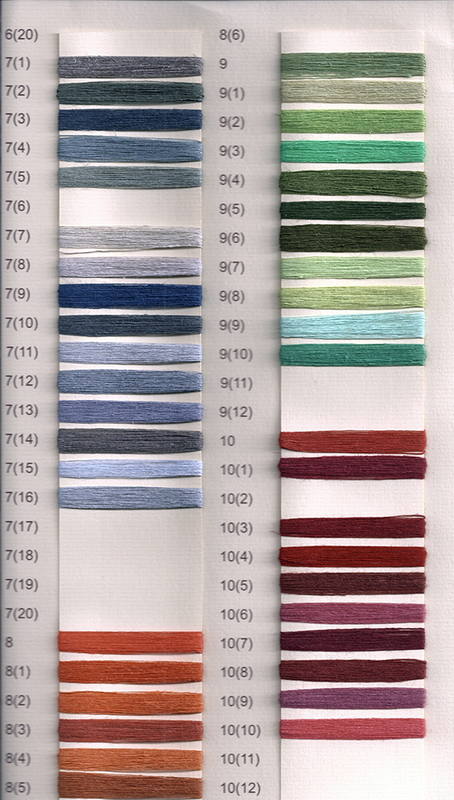 Baltic Linen Designs offers beautiful linen yarn for weaving, knitting, crochet & embroidery, choose from over 140 colors. 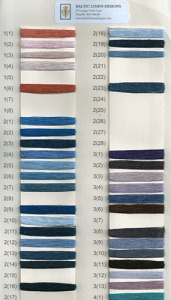 Baltic Linen offers top quality linen yarn from European flax in a wide variety of colors on spools from 1 lb. 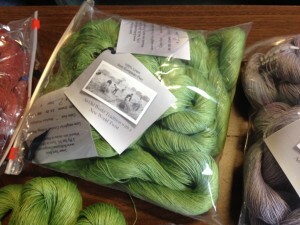 to 2.5 lbs. 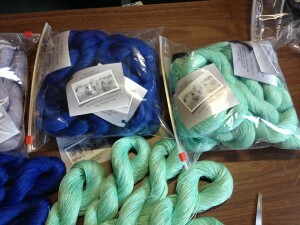 and skeins of 100g. 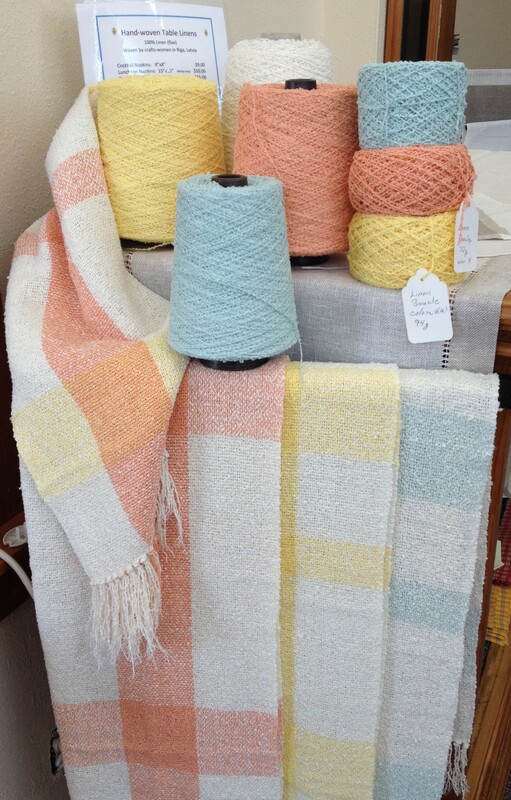 Spun in Eastern Europe, our stock is always changing, but a supply is readily on hand at the Mill if we run low, and we receive deliveries on a monthly basis, so plan your project, and we will have your linen yarn in a week or two, if not in stock. 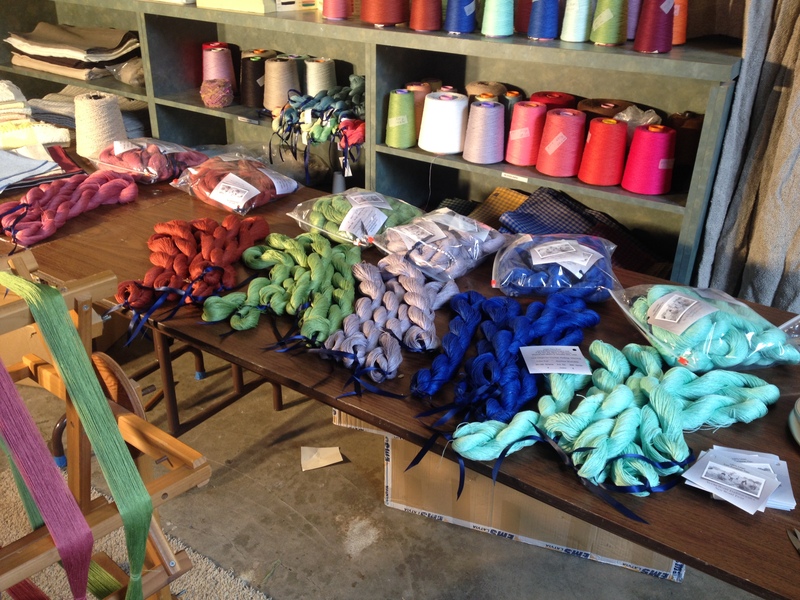 Small cones are available but the weight can vary from 5- 12 ounces in the 3X 56 Tex. 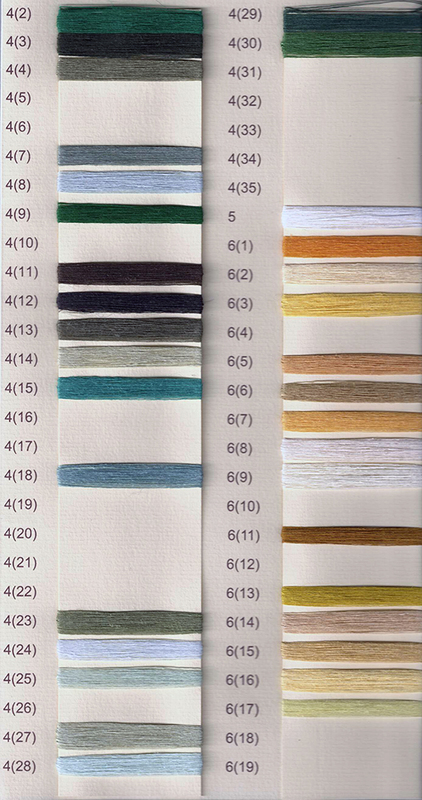 Single ply, 2xply, are sold only by the large cones approximately 1 – 1.5 kg. 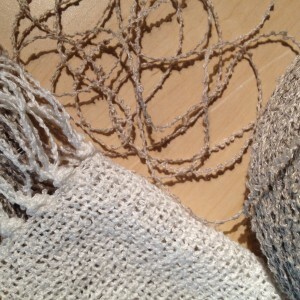 3 Ply is the most common as a lace weight for knitters or crochet. 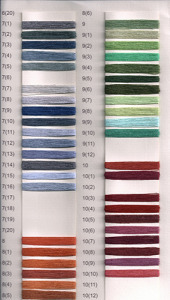 Single ply is used for very fine weaving. 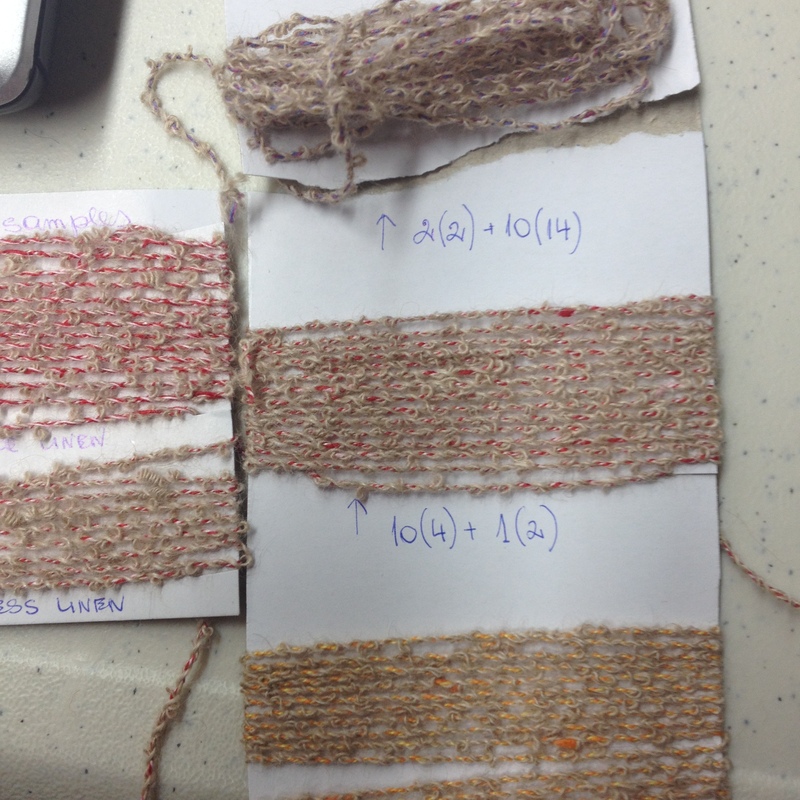 We will send yard yarn samples for free, but we ask you to cover postage costs. Contact us via the contact page to place your order. 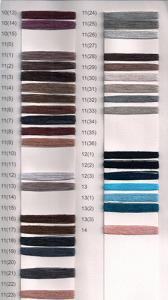 Contact us for a list of Retailers that carry our yarns. 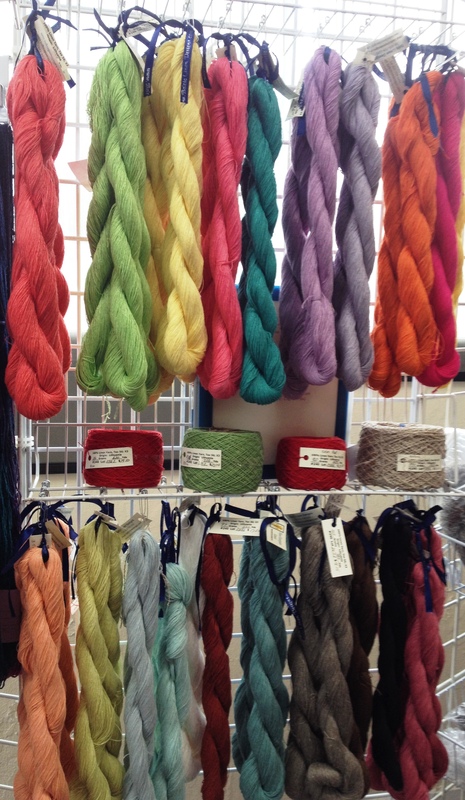 June 2015: New linen boucle yarns have arrived in 3 summer fashion colors: Salmon, Yellow, & Robin’s Egg Blue. 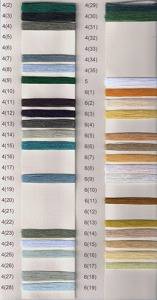 New shawls have been woven using these new boucle colors. 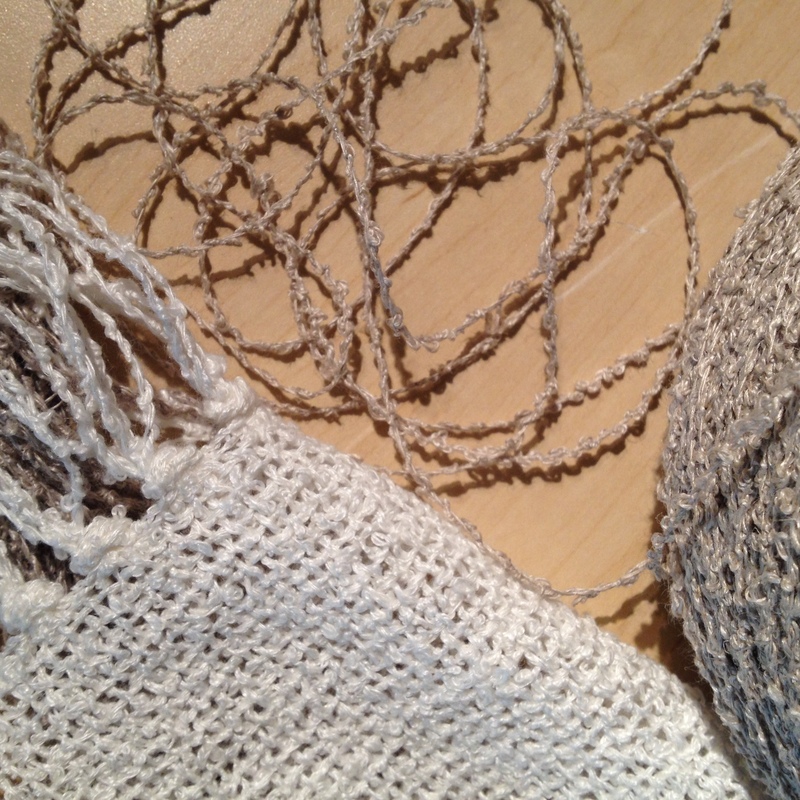 Spool of Linen Boucle on a shawl woven with white and silver flax yarn. 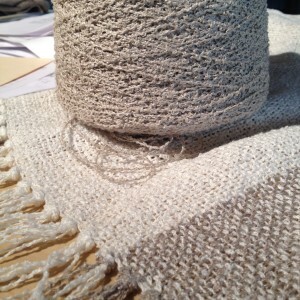 Linen Boucle Shawl in cream and chocolate brown. 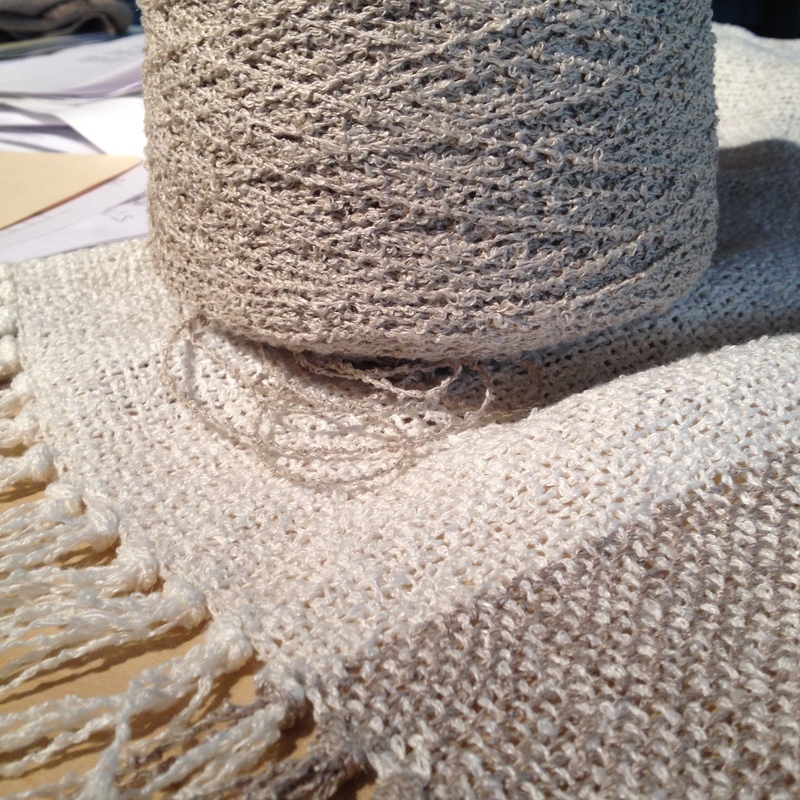 We are currently experimenting with a new Linen+Alpaca Boucle. The Alpaca wool comes from the Lone Star Ranch near Medford Oregon. 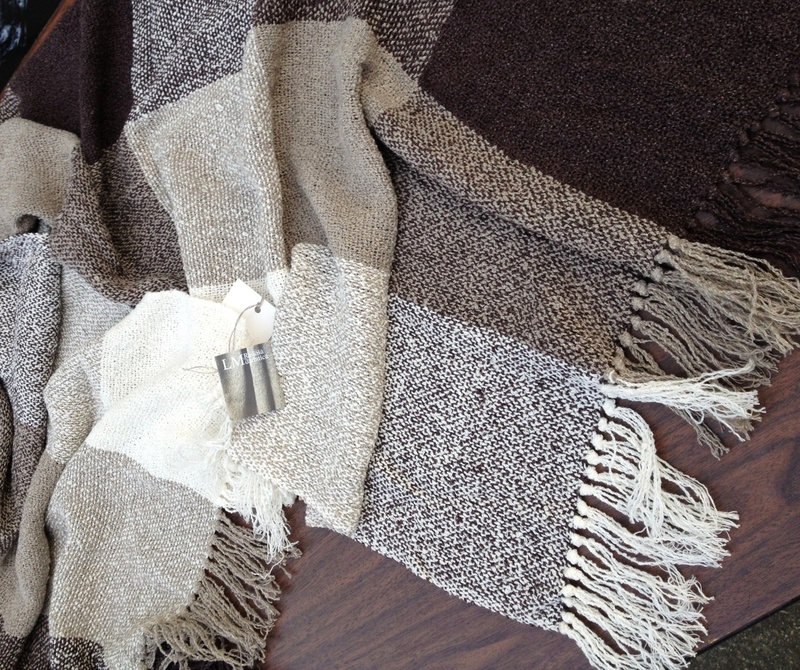 Blended into a Boucle Yarn in Lithuania, and woven into scarfs and shawls in Riga, Latvia. 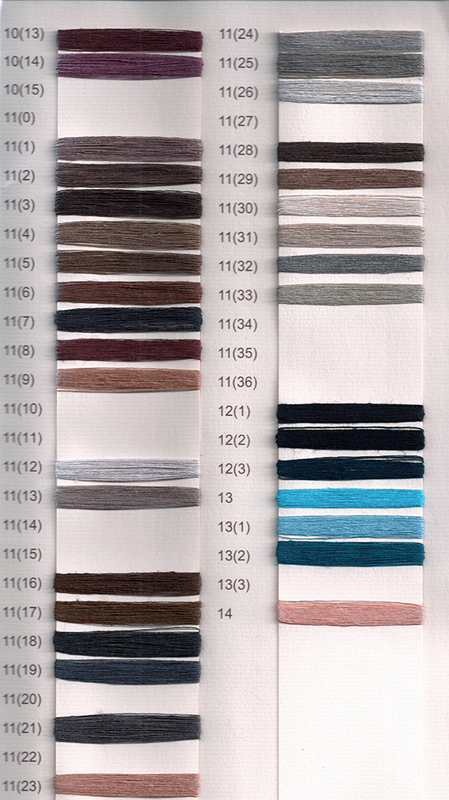 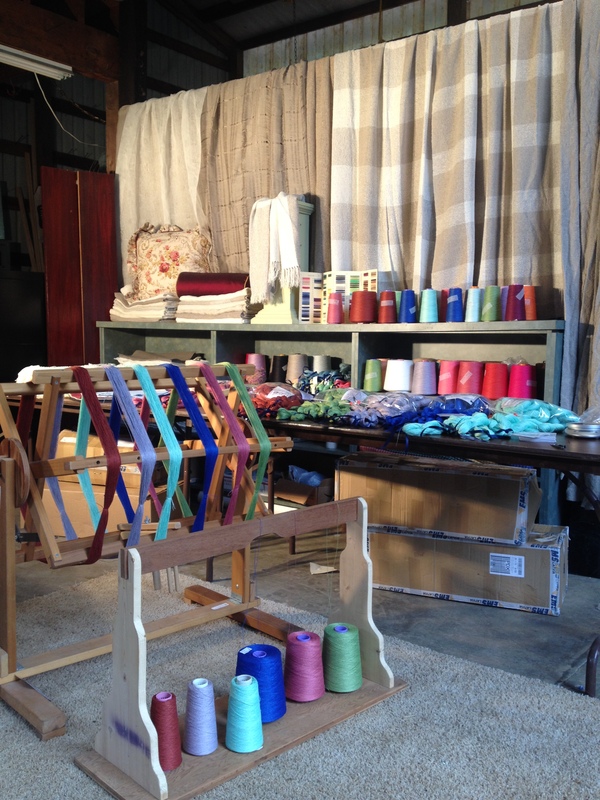 The line will premier at the Seattle Fabric Trends Show this summer 2015. Cones are wound into skeins in our Naselle, WA workshop. The standard pack for Retailers is 6 skeins of 100 gram (3.5 oz) each packed in a zip-lock bag.